StickyCoding claims they have not used any part of Firemint's coding, graphics, or overall assets from Flight Control. The game looks/plays similar to Flight Control but what game from this genre does not? There are about 4 or 5 other types of flight controlling games out there on the Android market so does this mean they all can expect a C&D Order from Firemint? 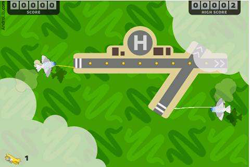 Here’s a screen shot of Flying Aces and Flight Control side by side and yes, they are very similar in look. 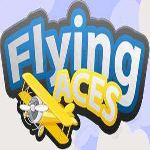 “The similarities between Flight Control and Flying Aces are striking. 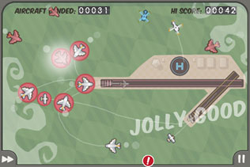 They include but are not limited to the visuals of the game, including but not limited to the airport configuration (the location and intersection of runways and location of helicopter landing site with a big H also defining location), the aircraft types (jets, props and helicopters), the stylistic approach to the games, and the screen designs. This type of game has been around for awhile and I highly doubt Firemint can claim they came up with the idea before anyone else did, especially since it has been commented that Flight Control appears to be a simplified version of the Gameboy Advanced game called Air Traffic Control released in 1998. Just because something is similar in game play does not make it a rip from another game, it is just following the style of game play that particular genre offers. If StickyCoding did not use any code, graphics or overall assets from Firemint's game then the legality of this C&D Order is definitely in question. If this is actually upheld, then we could see a lot more of these C&D Orders start to appear going in both directions. It has been awhile since we saw any C&D Orders appearing in Android related news. The last time was when Doom, Quake, Wolfenstein, and other related games were all issued C&D Orders by ZeniMax Media, the company behind id Software, and taken off the Android market. Hopefully this trend does not continue. One thing to note, I find this extremely amusing that the C&D happened right after Firemint won Best Game of the Year over at Pocket Gamer. You can go to Google groups to read the thread StickyCoding started about this whole ordeal including actual emails they have received thus far. I'll post any updates when I see them roll in. So do you think this is just a power move by Firemint or do you think they have a real claim? Let us know!